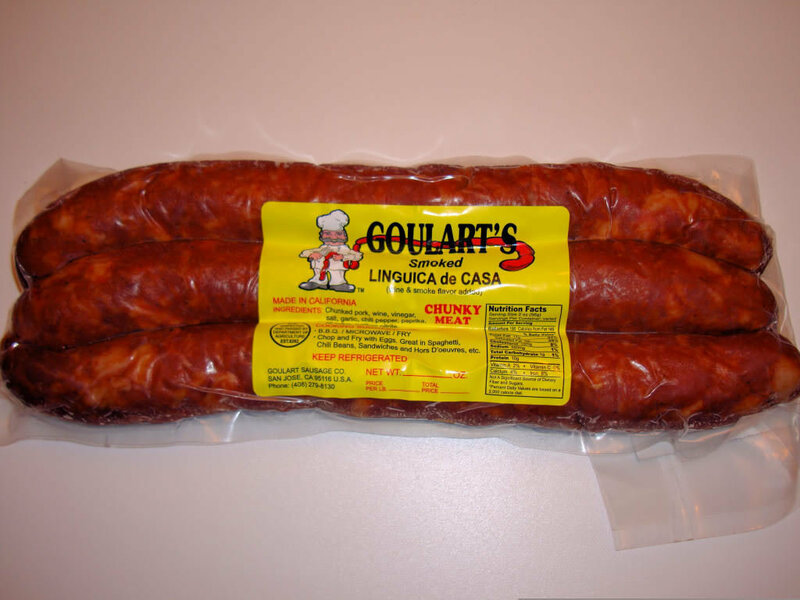 Goulart's Linguiça is one if not the best linguica this side of Portugal. It is one of the few sausages still real wood smoked (not artificial smoke) which gives it that rich flavor, made fresh and just delicious. Great grilled, fried for breakfast, or boiled in your favorite soup.